If you come across an evergreen tree with a distinctive, pungent fragrance, it's probably a cedar. But there are many types of cedars, so check out the tree's height, bark, and foliage to identify it. Flowers and cones also differ between the types, so also take a look at these features. Cedar trees are at least 40-feet tall when fully grown, although some species can grow as tall as 85 feet. The Atlantic White Cedar ranges in height from 40 to 85 feet, while the Eastern Red Cedar is shorter, from 40 feet to 60 feet tall, and the Northern White Cedar is mid-sized, between 40 and 70 feet. To determine a tree's height, use yourself as a measuring stick, estimating how many of you it would take to reach the top. For example, If you are six feet tall, it would take at least six of you to reach the top of a 40-foot-tall tree. The bark that covers the trunk and twigs of most cedar trees is similar, made up of long, fibrous scales that tend to peel in strips. In young trees, the bark is greenish, but it changes to a reddish brown as trees age. Some species, however, have slightly different bark that helps you identify the tree. For example, the bark of the Northern White Cedar turns gray with age, but the Atlantic White Cedar and the Eastern Red Cedar have bark that stays reddish-brown, even when the trees become old. Cedar tree flowers vary from species to species. Cedars are also either male or female, and the sexes can have different flowers. Most male cedars have reddish-to-brown flowers, although blooms on the male Atlantic White Cedar are red to yellow, while those on the Northern White Cedar are green, with petals tipped brown. Female cedar trees usually have small greenish flowers although some, such as the Eastern Red Cedar, have blue blossoms. Timing of flowering can also provide clues. For example, the Eastern Red Cedar can bloom as early as March, while the Northern White Cedar usually starts a month later, in May. All cedar trees produce fruits called cones, but these vary from species to species, so check them out when trying to identify a tree. For example, male or female Atlantic White Cedar trees have waxy blue-to-purple cones that turn reddish brown in fall. 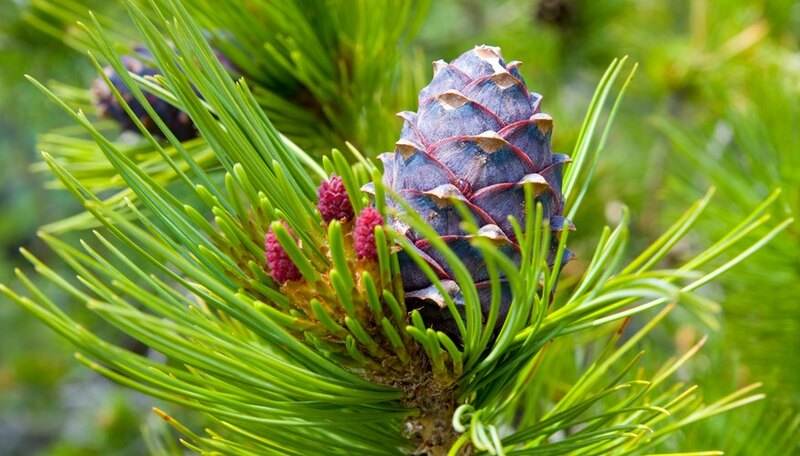 Cones only develop on female Eastern Red Cedars and they start out green, ripening to blue. When fully ripe, they resemble little waxy berries. Cones on the Northern White Cedar are leathery, and red or brown. They're also thinner and longer than the cones on other cedars. All cedars have scaly, fern-like needles that tend to overlap, and all produce a strong scent, especially if you rub them between your fingers. 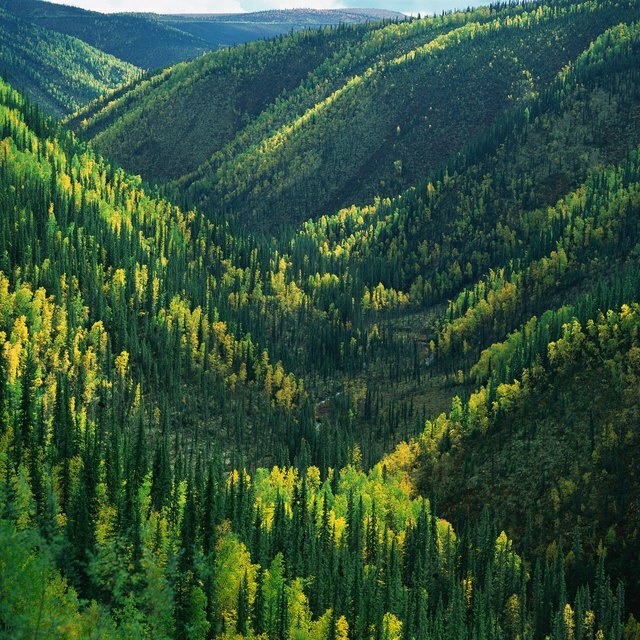 They're easy to distinguish from needles on pine trees, which are longer and thinner. Cedar needles can differ a bit in color between species. For example, needles on the Eastern Red Cedar are bluish-green, while those on the Northern White Cedar tend to be more yellow, especially on young branches. Lawrence, George. "Cedar Tree Identification." Sciencing, https://sciencing.com/cedar-tree-identification-5378794.html. 13 March 2018.